When Capital Services Ltd and their contractors replaced the cistern mechanism they decided to remove the external overflow pipe and fill the hole on the side of the old cistern. 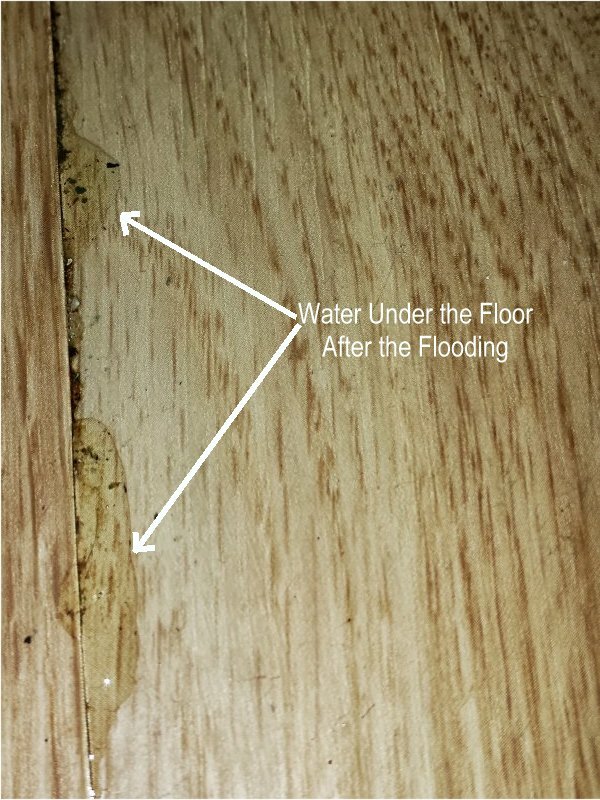 Unfortunately, they did not seal the hole properly and the whole bathroom was flooded which had as a result my new privately paid wooden floor to get damaged. 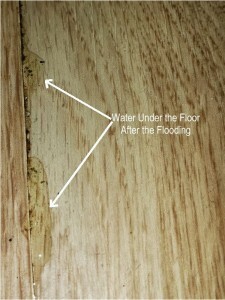 The damage was created because there was lots of water under the floor boards after the accident. At the moment some parts of the floor are not even and there is a possibility the boards to come out after a while since the “glue” has been disturbed. Fortunately there was no obvious damage to the kitchen’s ceiling beneath. Capital Services Ltd has agreed to replace the floor after a meeting with them and the Loss Adjuster. On the 21st November 2013, the loss adjuster agreed to cash reimburse me for the cost of the floor and I will then arrange for my own contractors to do the job.